Call us with any questions, 248-583-5353. These electric cattle brands will heat to branding temperature within ninety seconds and will maintain a constant even heat. Leave plugged in as long as you are branding. Equipped with a 10 foot three wire grounded cords for added safety. Plugs into any 110 volt outlet. Braced at all stress points with steel rods, keeping the heating element from bending or breaking. 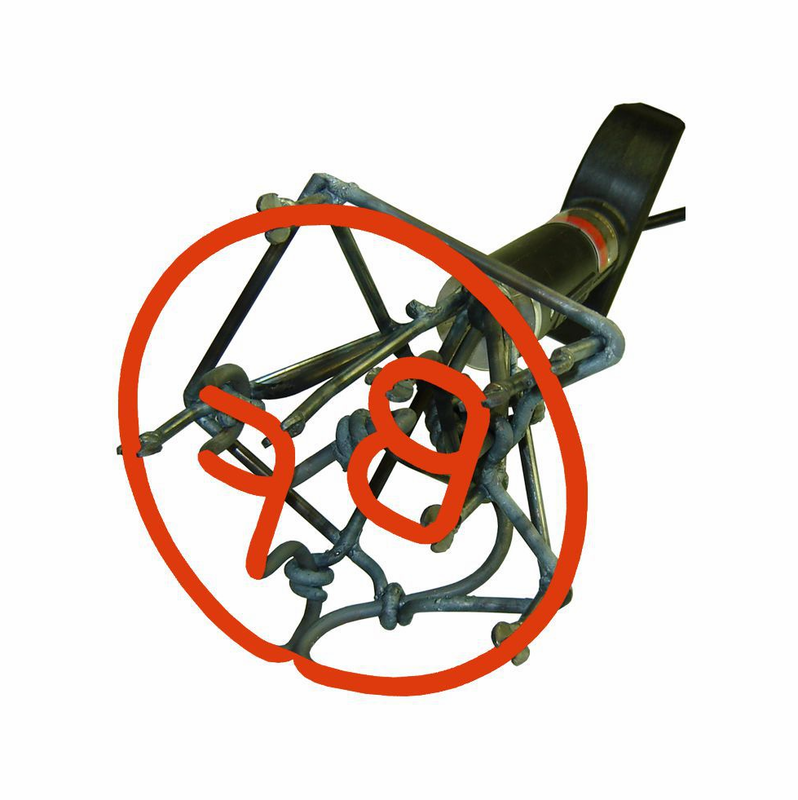 The brander is made of lasting, non-corrosive material and with ordinary use will give years of trouble free service. All prices listed above apply to standard 2", 2�", 3", 3�", or 4" letters or figures. 2" and 2-1/2" electric branders are made with a thin line 3/16" face, 3" and above with 3/8" face. * Single Letter or Figure = A, 4, P, etc. * Two Letters or Figures = 3H, 84, BF, Rocking 3, etc. * Three Letters or Figures = 123, D8W, Circle BF, etc. Please FAX (248-588-0051), EMAIL (sales@brand-first.com) or MAIL in a copy of your brand certificate, or a sketch of what you want the brand to be. Cattle Brands do not have interchangeable heads, and designs cannot be changed after the brander is completed.